SACRAMENTO, Calif. /California Newswire/ — The Calif. State Assembly on Wednesday unanimously approved Assembly Bill 825 by Assemblyman Anthony Rendon (D-Lakewood) to bring increased transparency and independent oversight to the California Public Utilities Commission (CPUC). AB 825 establishes an Inspector General with independent authority to investigate the CPUC and a Public Advisor to enact transparency measures within the CPUC such as posting information on utility rate increases on the commission’s website. The bill also establishes a process for parties to challenge the confidentiality of documents submitted by public utility companies. AB 1023, Rendon’s other CPUC reform legislation, addresses secret negotiations by CPUC officials and utility company executives by requiring CPUC commissioners, staff, and chief administrative law judge to maintain a public log of all communications with outside parties in adjudicatory and rate-setting proceedings. AB 825 and AB 1023, which represent the Assembly’s primary CPUC reform efforts, both await hearings in the Senate. 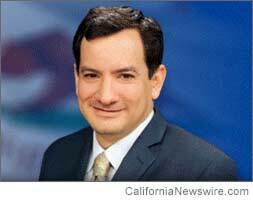 Assemblyman Anthony Rendon is chair of the Assembly Committee on Utilities and Commerce. Rendon is serving in his second term representing the 63rd Assembly District, which includes the cities and communities of Bell, Cudahy, Hawaiian Gardens, Lakewood, North Long Beach, Lynwood, Maywood, Paramount, and South Gate. Rendon serves on the following committees: Water, Parks and Wildlife; Natural Resources; Public Employees, Retirement and Social Security; and Appropriations.